Charles Dean has joined TransAm’s Million Mile Ranks! He started with the company in 2008 and 8 years later we gathered in the office to celebrate his achievement. Three words best describe Charles Dean: optimistic, friendly, and genuine. His philosophy is, “If I woke up this morning, it’s a good day.” Nothing is able to shake his infectious positivity. When asked about his tenure as a driver, he admits that sometimes there are bumps in the road. Bad weather and traffic jams are a regular part of the job. But he doesn’t let these things dampen his attitude. Charles takes everything in stride. Charles is the kind of man who makes friends wherever he goes. He’s very easy-going and always smiling. 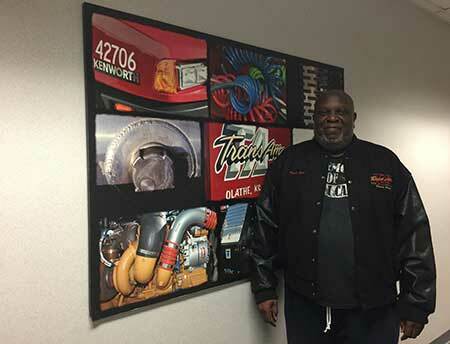 We have been very honored to count Charles as part of the TransAm Fleet. We are also extremely proud of his Million Mile Achievement. Thank you, Charles, for choosing TransAm.